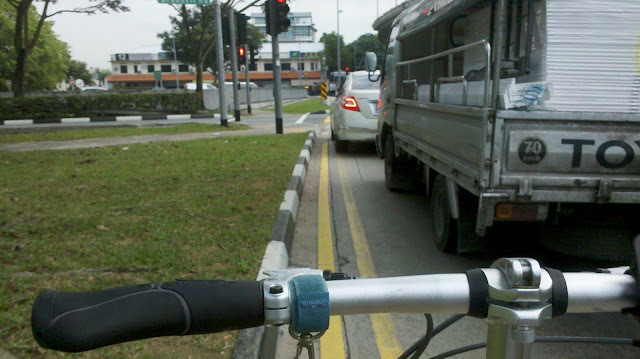 I must say that cycling to work here in Singapore is much more enjoyable and safer compared to the Philippines. I used to cycle to work back in the Philippines using my 20kg Mountain Bike clocking 15kms one way where 40% of the way is uphill. It’s a must to wear a heavy duty mask unless you want to suffer some upper respiratory diseases in the future. The only upside was that the drivers are skillful and considerate. My first bike was a S$60 Aleoca folding bike which we bought on a sale in VivoMart. The day I bought it I tested it as soon as possible in the house. It didn’t go well as the rear tire goes flat and chain was broken. 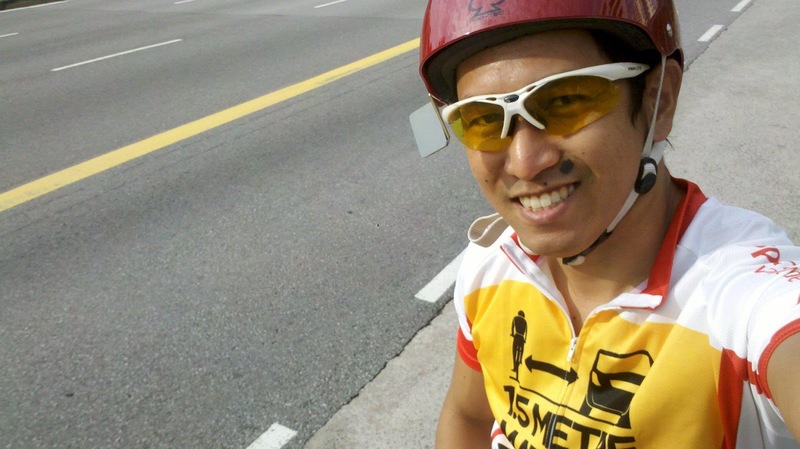 Before I joined LoveCyclingSG a friend referred me to Filipino Cyclist in Singapore where I found out about an affordable folding bike called Dahon Eco C6 where I got to test ride during my first weekend ride with them. The difference in rideability between my Aleoca MTB is so obvious that I immediately sold my MTB for S$80 and convinced my wife into getting the last piece of Dahon Eco C6 in L&T Cycles in Tampines. Monday – Take public transport to work so I can bring all my stuff for the week at one go which includes long sleeves, slacks, socks and boxers. 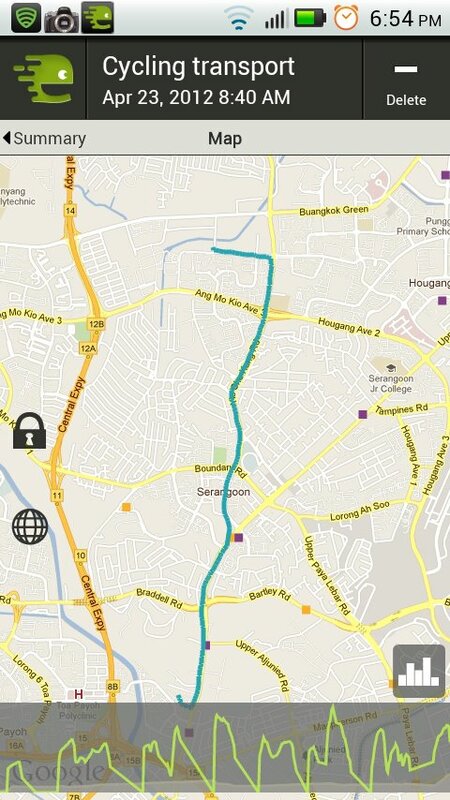 That way I will be forced to cycle to work the rest of the week since most my work clothes are already in the office. We have a locker in the office so the things that I leave there for the long run are 1 belt, 1 leather shoe, antibacterial wipes, perfume and hair spray. I make sure that I have another belt and leather shoes at home just in case I decided not to cycle to work for any reason like movie dates and the likes. Another option is to install a front truss and mount a waterproof bag or a rear rack with waterproof pannier so you can bring your change of clothes every day. Based on experience I’m not a fan of backpack while riding since it stinks up the bag itself due to sweat although I do have a backpack with rain cover in it just in case. For now I use it during weekends as a baby bag. Tuesday to Friday – I shower before riding. The only thing I bring here are the basic tools like multi-tool, innertube spare, pocket jacket and hood, spanner, front lights (just in case I leave at work late at night) and waterproof phone mount. I arrive at the office around 8:30am to have enough time wipe down sweat, get changed and have a hearty breakfast. The beauty of having a folding bike I was able to bring it inside the office without worrying of leaving it outside the elements. There’s also a possibility that our office will be moved to Changi which is ok for me since we have shuttle services in Sengkang and I can simply cycle to Sengkang and bring my folding bike up the shuttle bus. One word –Flexibility. I made sure to get a lot of free OCBC jerseys so that every morning motorists gets to see the 1.5M signage at the back. I alternate shorts and cycling shorts. I bought Keen Newport since it’s waterproof and anti-bacterial as well. Good for sunny and rainy season. Its sole is stiff so that helps in pedaling. That’s all there is to it. So for those who reached this paragraph and still deciding whether or not to cycle to work the trick is not to overthink it and just go for it. As the old saying goes “If there’s a will, there’s a way”.